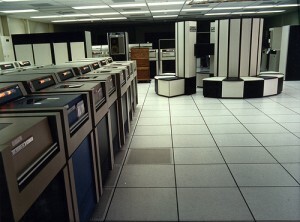 Parallel file systems have long been the domain of the HPC/Supercomputer set, characterised by applications running at academic and research institutes. Wind the clock back five years and the smaller end of a HPC storage farm, might have been 50 Terabytes. And smaller commercial organisations (200 staff) performing Analytics and scientific processing who hold 50-200 TB online. In our daily client engagements, we find some of these businesses, still attempt to hold and run their ‘mass data’ on Tier 1 vendor storage, often where the price per Terabyte is 2,000 to 3,000 pound per Terabyte. This is usually a hangover of a technology or vendor decision made 5 years ago. There is no need to do this. Businesses need to find technologies that can deliver 50TB at prices ranging from 500 pound per Terabyte and DECREASING to charges approaching a few hundred pounds per TB for bulk purchases of +200TB. An increasing number of vendors have developed storage on the Solaris ZFS platform. Proprietary offerings from Isilion (now EMC), BlueArc (now HDS), and NetApp. None of the above 3 candidate’s falls into the £500 decreasing to £200 per TB scope. And other offerings from Quantum, Panasas and others, where aggressive pricing can see the per TB cost potentially approach £500 per TB in the sub 50TB region, and improve once capacities of 100TB and more are considered. To learn more about the practical offerings available one your needs exceed 50TB’s, contact us at CD-DataHouse Limited for an informal discussion.